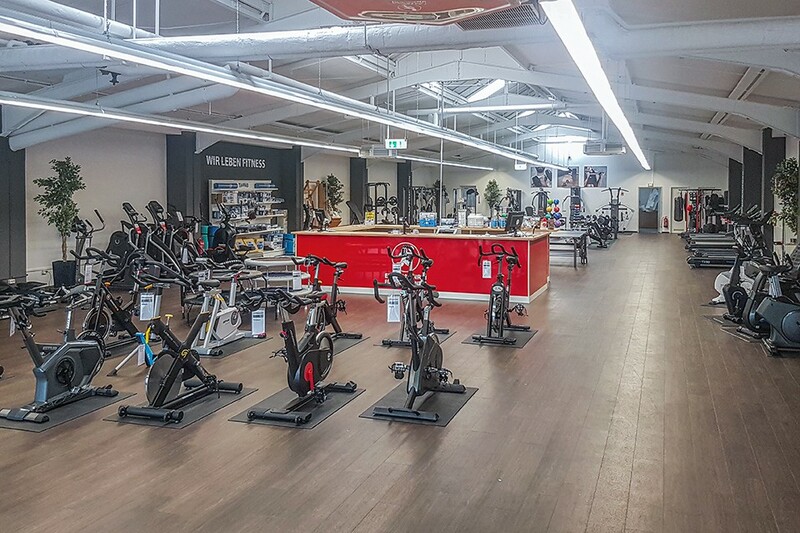 Bezoek onze fitness speciaalzaak met een showroom van 620m². Water sport on the six-lakes area or go jogging across the landscape park: Duisburg offers many possibilities to keep in shape. However, it's not high season for outdoor sport the whole year. It's no later than when it's getting cold and dark outside that a lot of persons take a break with respect to their training. However, you don't have to: A home fitness equipment, which fulfills perfectly your needs, makes a comfortable fitness training possible - no matter what's the weather. 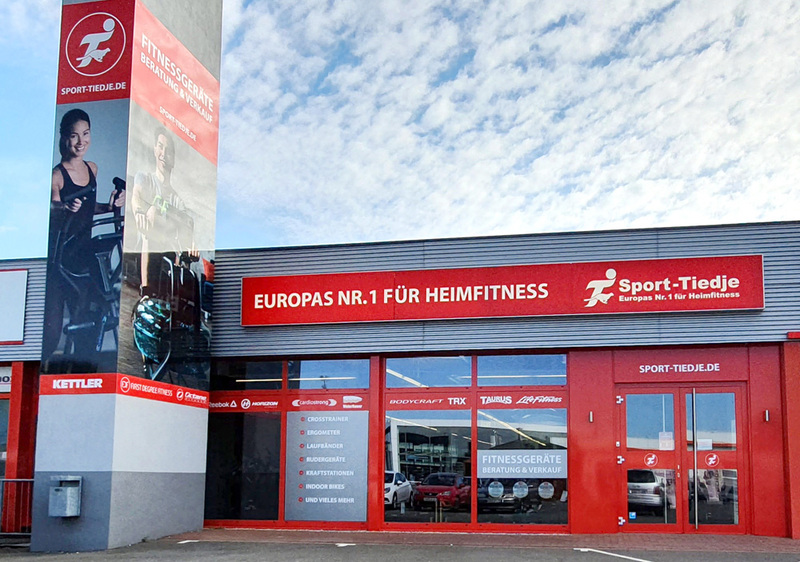 Sport-Tiedje at the address Auf der Höhe 49 in Duisburg-Kaßlerfeld is your contact person, when you want to buy fitness equipment in Duisburg. Being Europe's leading specialist store for home fitness equipment, we present you high-quality home fitness equipment on 620 square metres for an independent and effective cardio training at home. 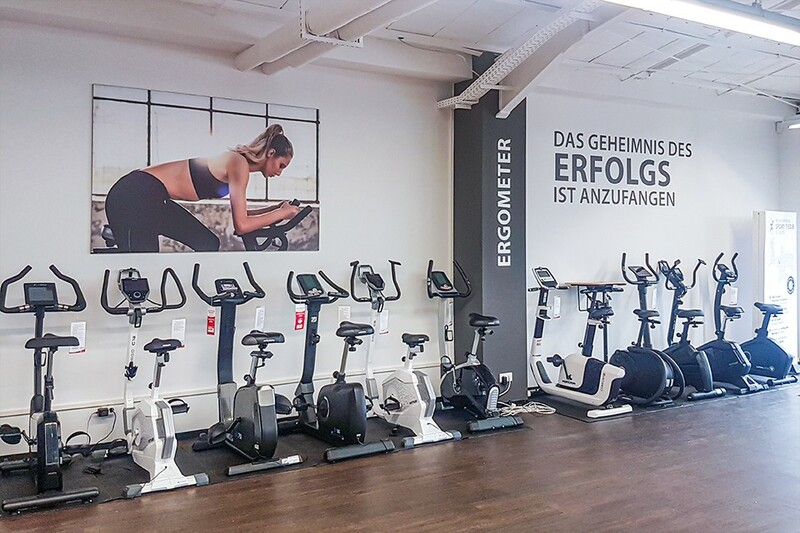 Make your everyday life more active and more healthy with home fitness – Sport-Tiedje in Duisburg supports you with the appropriate fitness equipment. Burn calories, build muscles or prepare for a marathon: The appropriate equipment for every training target can be found at Sport-Tiedje. From the joint-gentle elliptical cross trainer to the multi-functional multi-gym - at Sport-Tiedje you find a huge selection of high-quality fitness equipment for strength and cardio training. And all this in every price category: Besides renowned brands, we also offer own brands at an attractive price-performance ratio. Small equipment like fascia rollers, yoga mats, pulse monitors, and weights as well as sports nutrition complete our offer optimally. Benefit from our competent advice at Sport-Tiedje. You do not only buy a fitness equipment at our store. Together with you, we find out your fitness target first. On the way to the fitness equipment, which is ideal for you, we take your fitness level and potential healthy restrictions into consideration as well. That's how we find out whether a recumbent exercise bike for a joint/back-gentle cardio training or maybe a rowing machine for an effective whole body training is the right choice for you. In addition, we give you useful tips for the training and advise on delivery, assembly, and financing of your fitness equipment. 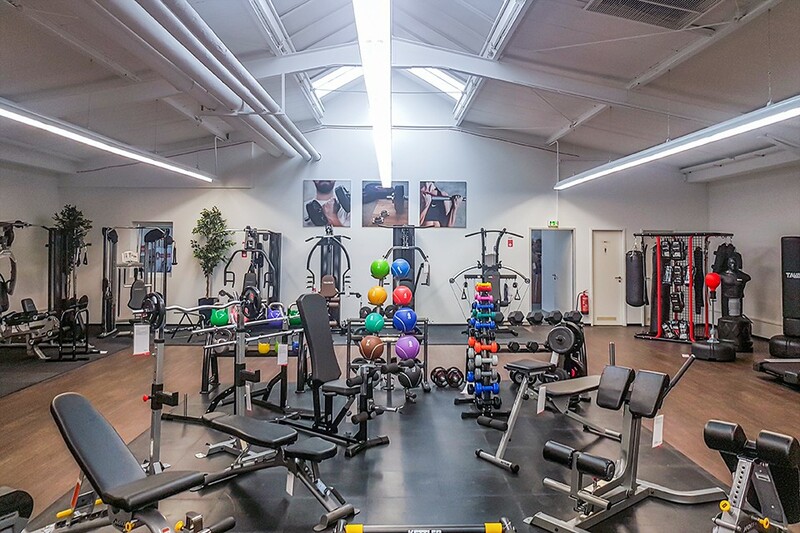 Our service also includes that you can test in detail the fitness equipment at our showroom. Just visit us in sporty wear - we are looking forward to your visit!